What’s a GOAT to a non-believer? Team Liquid believed only in themselves when they were dropped into an early 0-2 hole against TSM. With the crowd roaring T-S-M and their backs pinned against a long off-season, TL stood strong and showed everyone their resilience. Perhaps more than anyone else, Doublelift has become the player that doesn’t know when to give up. And as TL’s spiritual leader, that has come to embody the team itself. The much hyped roster lived up to their pre-season billing and secured a 3rd consecutive title. The center of focus coming into this weekend was on Doublelift and Bjergsen, who were tied with five LCS Championships apiece before this match. Analysts pondered back and forth as to which player was North America’s GOAT — was it the steady excellence of Bjergsen in the mid lane, or was it the brash, trash-talking ADC in Doublelift? While this series might not cement the argument for good, the edge in titles is now distinctly Doublelift’s. Say whatever else you want about him, but when the moment is the biggest, he has consistently stepped up and won. And in the last fight, it was him that finished off Bjergsen for good this split. 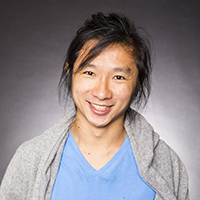 On that, Doublelift says, “I’d rather be super hungry for my first win than chasing now… title number seven. I get really embarrassed when everyone else says I’m the greatest of all the time. When I said I’m the greatest and everyone else is trash — that was ironic. It was a joke.” He’s more focused now on achieving something at international events. This was a series of crazy picks, and it all started with Jensen locking in Heimerdinger in Game 1. After both teams combined to ban out eight mid laners (including five from TL), Jensen responded to Bjergsen’s Zoe pick with the donger. It seemed like a prepared counterpick based on the fact that Zoe was a pretty obvious choice for TSM, but the game itself did not pan out favorably. Jensen was unable to punish the lane phase and then he was unable to do as much in the many skirmishes between the two teams. Bjergsen, however, was able to constantly delay Liquid’s early advances and advantages with critical poke damage and picks on his Zoe. In doing so, Broken Blade was able to scale on Vladimir and become an unstoppable force in the top lane for TSM — his Vladimir racked up 11 kills, which honestly is a lot in a Solo Queue game let alone your first ever LCS Final. It was a tense back-and-forth affair that foreshadowed the nature of the entire series. When TL would secure an advantage, TSM would bite back. Many fights began with TL generating a pick, but they would then overextend in trying to chase down the retreating TSM team. Bjergsen slowly chipped at them or Vladimir would find a chance to re-engage in a flanking position. Over and over it seemed like TL was just unable to wipe out TSM, and eventually the Vladimir scaled to a position that was impossible for TL to deal with. Broken Blade carried that momentum into Game 2 and broke open an early stalemate by solo killing Impact’s Kennen with his Irelia. TSM pulled out a super unorthodox Lux pick for Bjergsen (no one has picked Lux in the LCS since 2016), and honestly it was so unorthodox that I’m still not positive it actually happened. Lux is a champion with a lot of weaknesses (like QSS), but Bjergsen managed to make her work. Combined with the new-flavor Sona/Taric bot lane, TSM was a team with a lot of shields and zone control. The ball of death scaled to a spot that TL simply couldn’t deal with — once Sona and Taric hit the end-game, you have to delete someone quickly or those two could heal them back to full health in a rotation or two of spells. And in a series where the teams were so closely matched, that was just not going to happen. TL could not generate decisive enough team fight wins and were then routed by TSM’s deathball. TSM would find themselves up 2-0 against the strongest team in NA over the last year. 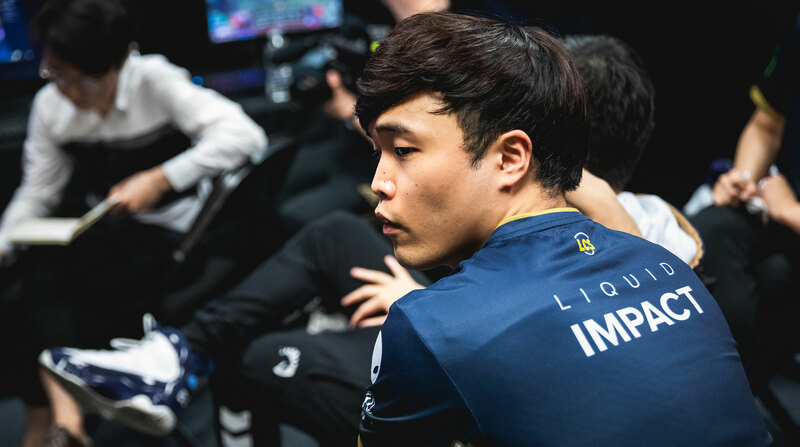 But in Game 3, Team Liquid reared their legs and showed the same kind of resilience we saw from them at MSI last year, when they started the Group Stage 0-4 but managed to storm back after that for a respectable showing. Being a champion means you have to be able to weather adversity, and that’s exactly what Liquid did in Game 3, even though they fell prey to early ganks across the map. They stood strong and flipped the tide of the series with one Skarner pick after another, and this game they seemed to pay much better attention to where Broken Blade was in particular. It seemed like they’d figured out his tricks and were always quick to turn on him when he revealed himself. Impact also finally outplayed his counterpart with a big carry performance on Gangplank, and by executing their team fights better by sticking together and not letting people get picked off randomly, they managed to take a Baron from TSM, who’d started it, and from there roll to a decisive ending. There would be no sweep in St. Louis. Liquid followed that tight-rope performance by absolutely demolishing TSM in Game 4. Akaadian in particular seemed to be unraveling for TSM, as TL repeatedly focused him out early in the game and in fights, which seemed to pressure him into trying to make a play to make up for it. In contrast, Xmithie played a much cooler-headed series and was content to take losses here or there. The difference in experience between the two became clearer and clearer as the series pressed on. So entered Silver Scrapes. So entered fate. With everything on the line, the two teams locked in carry after carry across the Rift. It seemed like they were all willing to wear the shoes that would let them step up to the moment. Broken Blade in particular continued his menacing play and managed to solo kill Impact’s Vladimir with his Akali. Despite pressure being thrown his way all game, he managed to escape any sort of punishment. TSM used this pressure to generate small leads across the map — especially in securing turret plates — and entered the mid-game with a healthy advantage. That advantage made it difficult for TL to really contest any objectives, so they just played defensively until the second fire drake spawned — it was here that they chose to make a stand, and it was here that it seemed like all was lost. They would be routed by TSM. But just as all appeared lost for TL, Zven made a critical misstep and was caught and killed, which allowed TL to secure a Baron. It’s the kind of misstep that’s going to haunt him and haunt him until he’s able to right it by winning an LCS title. It was such an uncharacteristic play from him, and even though he played well the rest of the series, I think this is the one that will unfortunately be remembered. It led to a series of super tense dances around Elder and Baron that TL managed to edge out advantages in all of them. They’d built their bread and their butter and their throne on their ability to team fight, and when it was needed the most, they delivered once again. The slow crawl to the finish line was full of holes and problems, but it was perfectly Liquid. And now Doublelift has secured his 6th title — giving him sole possession at the top of the league. Jensen has earned his first and justified his decision to leave Cloud9, and more importantly he has put to rest the ghosts that have haunted him since he became a pro. It is his first ever trophy, and he should savor the moment while he can. It’s truly a great accomplishment to be able to achieve a sense of finality — that moment in the confetti is a thing he has always had to watch. Ahead for Team Liquid, though, is the Mid-Season Invitational, and the likes of Faker and SKT already await. League of Legends is one trial after another for pro players, but like scaling a mountain, it is important to celebrate the milestones. And for Liquid, this is a part of that mountain they’ve become very accustomed to — with their third consecutive title, Team Liquid is without a doubt the dynasty that lords over all of North America.